SOLD!!!! With a successful auction with 27 registered bidders. A public auction of 530+/- acres of canyon rangeland and building site potential land located 7 miles southwest of Brady, NE. This public auction will be held on August 29, 2018 at the Brady Community Center, Brady, NE. Livestock grazing, big game hunting, future home sites and Jeffrey Lake recreation are the highlights of this opportunity. 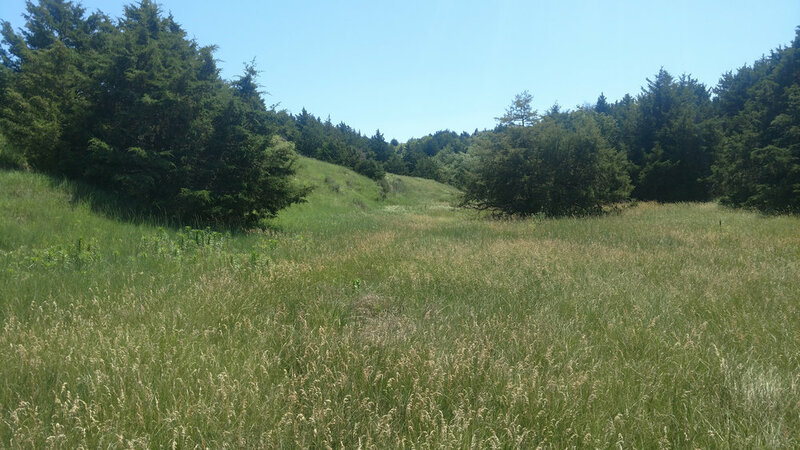 This 530+/- acre property will sell as 2 parcels on August 29, 2018, 11:00 AM CST at Brady Community Center, Brady NE. Property is located 7 miles southwest of Brady, NE on the Brady Moorefield Road. 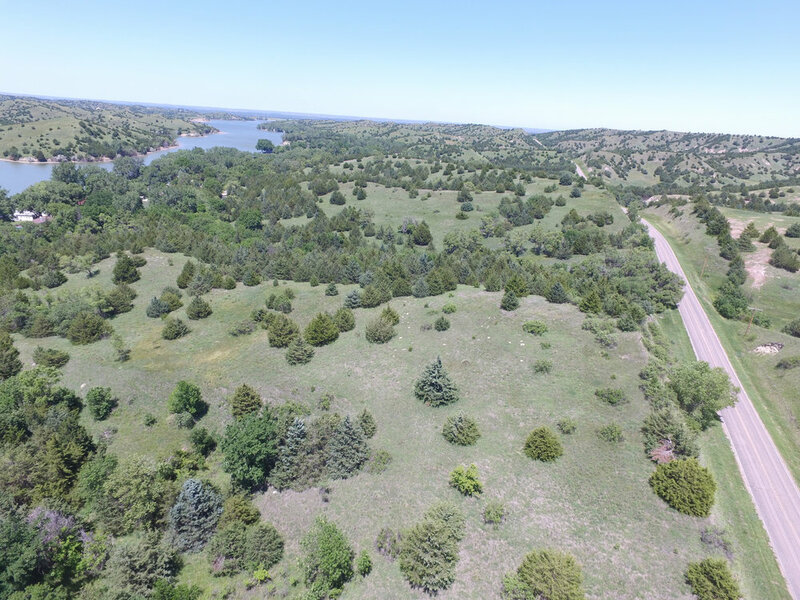 This is a nice opportunity to purchase 490+/- acres of canyon rangeland pasture or a small tract of land with scenic views for your lake home. Property sells as 2 Parcels and will not be combined. Detailed information on each Parcel is below. This is an advertised "Minimum Bid Auction", the agreed upon opening bid for each Parcel is identified below. Upon the receipt of the minimum bid the auction will be converted to an absolute auction. Live online and phone bidding will be available. Buyer must be pre-approved 72 hours prior to the auction. To bid online Buyer must download the "NELandBrokers" app from your perspective app store. For additional information or to schedule a tour contact Duane McClain, Listing Broker. on his cell at 308.530.0221. Approximately 490 acres located along the southeastern side of the Brady Moorefield Road about 7 miles southwest of Brady, NE. Property consists of hard land canyon rangeland with 2 stock water sites, an electric pump jack located near the west boundary and a windmill in the east center. There is also a stock dam in the northwest corner. This property has had some of the cedar trees mechanically removed for some access along the ridges. 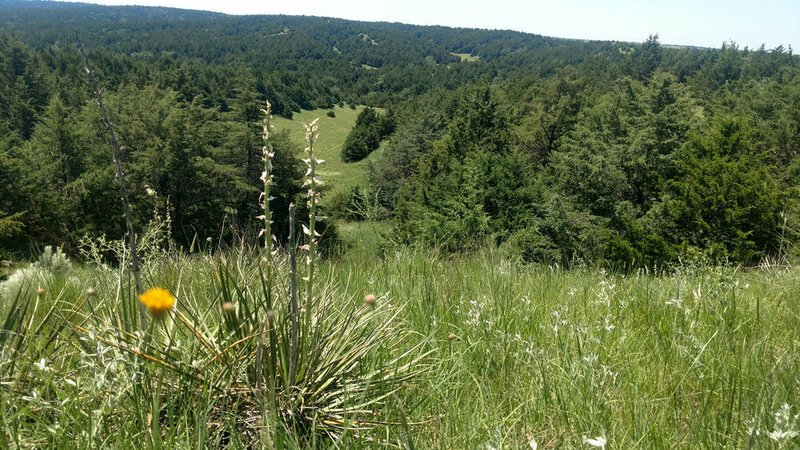 Hunting on this Parcel would include elk, mule deer, whitetail deer, turkey and upland birds. 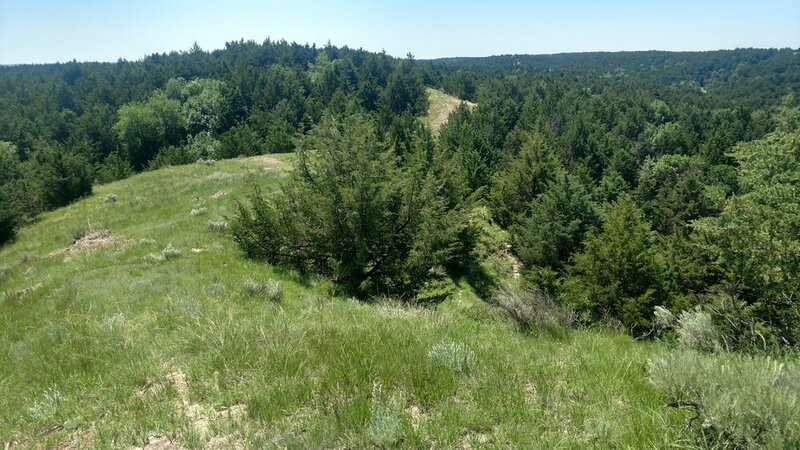 Located within about 20 minutes from Gothenburg and 30 minutes of North Platte, this parcel has good access off of the county maintained blacktop road and would have several potential building sites with grand views and quick access to Jeffrey Lake for recreation. This property has not been grazed in 2017 & 2018 and will be available for full possession at closing. Windmill Well Information: Static Water Level is 150', Well is 295', 4" PVC casing. Pump is currently at 164'. The windmill is not operational and will be sold "as is". Gothenburg Irrigation estimates that the cost to get the windmill up and running will be $1,700. A detail estimate is available from the Broker. Broker also has an estimate for a solar water system that could be put into the existing well. There is a Forest Fuel Reduction Cost Share available for a portion of Parcel 1 lying along Brady Moorefield Road. Depending on distance from the Lake Cabins, distance from Brady Moorefield Road and slope of the terrain, the area to be eligible for clearing will be determine by the Wild Land/Urban State Forester. 75% cost share funds are available to the new owner for tree removal. Please contact Broker for additional information. Real Estate Taxes: Lincoln County Assessor estimates the 2017 taxes payable in 2018 to be $4,900. Minimum Bid: $390,000.00 SOLD & CLOSED 10.15.18! Approximately 40 acres of canyon rangeland lying between Brady Moorefield Road and Pelican Drive. This Parcel has access off of County maintained blacktop road and would provide quick access to Jeffrey Lake. There would be several opportunities for future building sites with a view of Jeffrey Lake and the surrounding area. 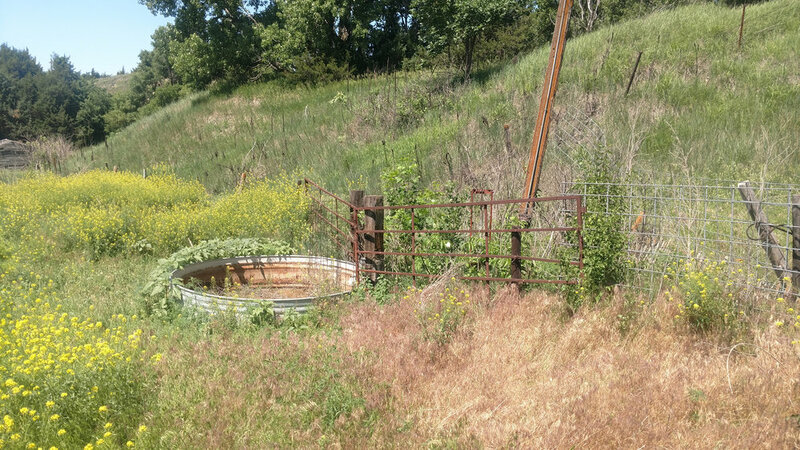 There is no well on this property. Some parts of this Parcel are very heavily covered with trees. This property will be available for full possession at closing. There is a Forest Fuel Reduction Cost Share available for most of Parcel 2. Depending on distance from the Lake Cabins, distance from Brady Moorefield Road and slope of the terrain, the area to be eligible for clearing will be determine by the Wild Land/Urban State Forester. 75% cost share funds are available to the new owner for tree removal. Please contact Broker for additional information. Real Estate Taxes: Lincoln County Assessor estimates the 2017 taxes payable in 2018 to be $400. Broker Disclaimer: There is some discrepancy in the County Assessor recorded acres on the Lincoln County GIS website and the acres advertised above. It is the intention of the Broker to obtain all information possible to clarify the correct acreage count. The Broker has obtained maps and surveys from Central Nebraska Public Power & Irrigation District to assist in the process. A survey of the Parcel 2 to determine a meets and bounds legal description and acres will be completed prior to auction day. A more definite acreage count will be provided on auction day. It is believed that the acreage count will be slightly higher than the advertised counts above. Newer PostHERSHEY NE ACREAGE Reduced again to $350,000. Older PostBirdwood Pasture - Sutherland NE REDUCED!